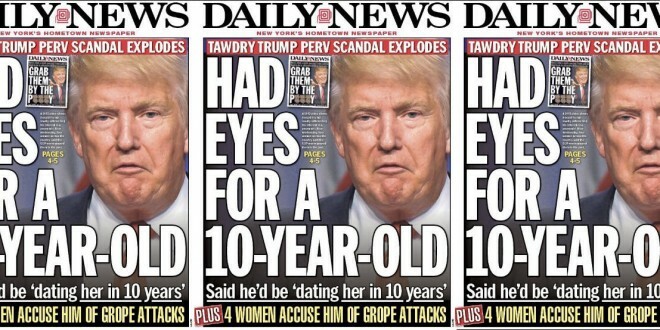 Today's New York Daily News - Joe.My.God. 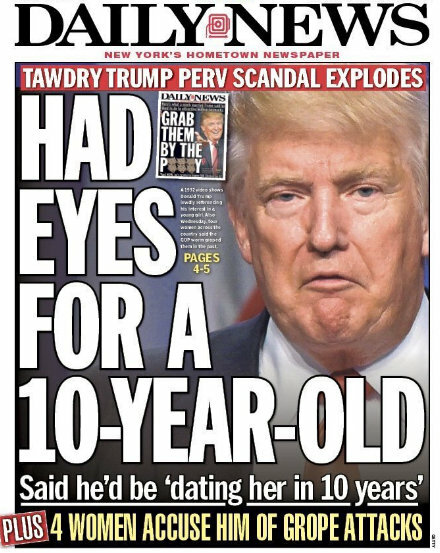 Donald Trump, exposed Wednesday as an alleged serial groper, once said he’d spotted his future girlfriend on an escalator — when she was only 10. The would-be sexist-in-chief made the stomach-turning joke in 1992 when “Entertainment Tonight” taped a Christmas special in Trump Tower.